To celebrate the arrival of fall after a long and hotttt summer, I have prepared an amazing INTERNATIONAL GIVEAWAY for you guys! It's super easy to enter, but most importantly, the prizes are really awesome, if I do say so myself. You can win a Marj's Naturals gift set worth $105, filled with all-natural organic skincare products, free of all the nasty stuff you find in most commercial brands. I actually used some of these products in the first trimester of my pregnancy when I was extremely picky (or should I say paranoid) about what I put on my skin. This giveaway is open until Thursday, October 8. You must be 18 or older to participate. Please enter through the Rafflecopter widget at the end of this post. 20FALL for 20% discount on Marj's Naturals Etsy orders US$25 and over. INTLFREESHIP for free shipping on international Etsy orders US$100 and over. Marj's Naturals Tropical Papaya Cleansing Bar contains antioxidant rich real Papaya Fruit Extract that is well known to have great benefits for the skin. The Papain enzyme content of this papaya bar effectively exfoliates dead skin cells revealing a brighter, tighter, blemish free complexion. Infused with Orange essential oil which helps promote the production of collagen, increases blood flow to the skin and soothes dry, irritated skin, Marj's Tropical Papaya Cleansing Bar has a fresh soothing citrus scent that is not overpowering. Marj’s Naturals Gentle Face Cleanser is a purifying, mild, hypoallergenic liquid cleanser that does not only do an effective job of removing skin’s impurities but also protects, hydrates, moisturizes, and soothes dry irritated skin. Its naturally derived biodegradable organic ingredients including the healthiest botanicals like oats, algae, aloe leaf, and ginseng root extracts combined with deeply hydrating Hyaluronic Acid Serum and anti-aging Gatuline Age Defense work together to improve skin’s appearance and prevent acne formation. Very economical, one drop effectively washes away oil, dirt and makeup. Its sweet aromatic scent from essential oils makes your facial cleansing experience a very pleasant one. Pure Virgin Organic Moroccan Argan Oil lives up to the hype. It is the lightest beauty oil that works wonders on the body from head to toe. Got psoriasis or eczema? Dry scalp? Brittle nails? Premature signs of aging? Argan oil is a simple yet effective solution. Marj's Naturals Pure Virgin Organic Moroccan Argan Oil is directly imported from a Moroccan manufacturer. 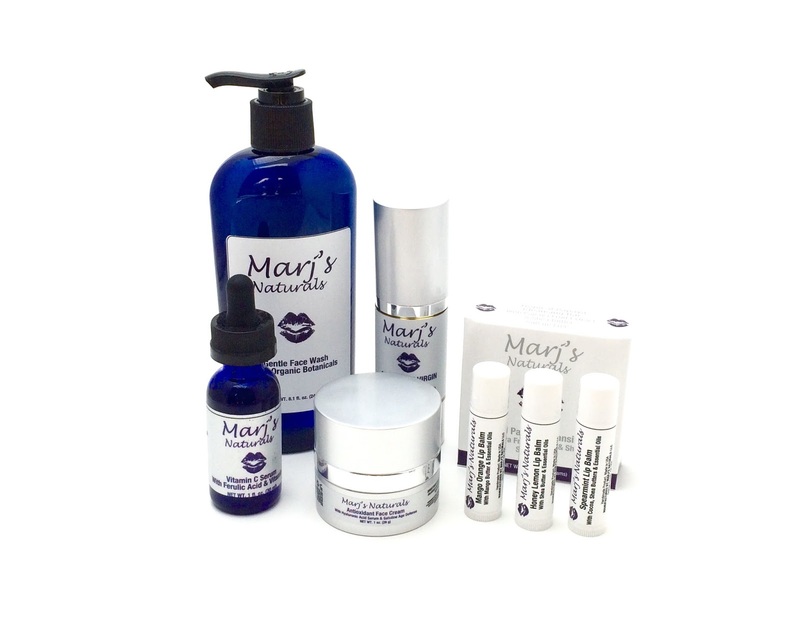 Marj's Naturals Antioxidant Face Cream is a lightweight oil-free formula that is perfect for all skin types. Free from potentially harmful chemicals including Paraben, Sulfate, Fragrance, Phthalates, Petroleum and DEAs, your skin will absolutely appreciate the anti-aging benefits of Marj's Naturals Face Cream. Marj's Naturals Antioxidant Face Cream contains Hyaluronic Acid, Gatuline Age Defense and antioxidant rich fruit and botanical extracts all of which protect and promote a youthful complexion, heal and regenerate damaged skin, prevent free radical damage, help even out skin tone, help promote formation of collagen thereby strengthening and firming skin's tissues and preventing formation of new wrinkles, and restore elasticity. A non-comedogenic and non-greasy formula, this moisturizer hydrates down to the deeper layers of your skin, leaving it soft and supple all day. Marj's Naturals 100% all natural Spearmint Lip Balm is for those who want deliciously fresh, kissable, soft, supple lips and moisture that lasts for hours. Gentle and soft on the lips, it is made with Shea and Cocoa butters that contain highly protective and healing antioxidants. Marj's Naturals 100% all natural lip balm is made of antioxidant rich, nourishing, softening, hydrating, protective and moisturizing Mango butter, Pure Beeswax and Sweet Orange Essential Oil that hydrate your thirsty lips for hours. It has a soothing refreshing sweet juicy citrusy flavor that lasts and is so delicious you'd want to eat it. The consistency is perfect that will make the product last a long time. For lips that crave the freshness of citrus lemon and the softness of butter, Marj’s Naturals Honey Lemon Lip Balm is another delicious handmade treat with all those extra benefits to keep your lips looking, feeling, and tasting amazing! Loaded with the smoothest refined Shea butter and pure beeswax that smells like sweet honey and combined with just the right amount of Lemon essential oil, Marj’s Naturals Honey Lemon Lip Balm provides maximum hydration and moisture that last throughout the day. Highly economical, it has a perfect consistency that stays solid so a tube can last for months. Marj's Naturals Vitamin C Serum contains 18% organic Sodium Ascorbyl Phosphate (Vitamin C) . Apotent antioxidant, Vitamin C applied regularly to the skin can protect and prevent it from premature aging caused by free radicals. Skin discolorations like sun spots lighten or fade, complexion brightens and fine lines and wrinkles diminish giving the skin a more youthful glow. Ferulic acid, a superb antioxidant, does not only provide protective benefits to the skin but it also stabilizes Vitamin C preventing oxidation. Vitamin E, another powerful antioxidant, acts as a protectant against sun damage. Marj’s Naturals Vitamin C Serum contains a base of Hyaluronic Acid Serum to deeply hydrate and plump skin. Vitamin C + Ferulic Acid + Vitamin E + Hyaluronic Acid = excellent photo protective and anti-aging benefits. For more product information, visit Marj's Naturals at www.marjsnaturals.com or contact them via email at info@marjsnaturals.com. Nothing beats organic skincare products! Good luck to everyone! What an amazing giveaway Anett!!! Awesome products and cool giveaway! No problem, Debbie! Thanks for participating! Great, I will! Thanks for entering! Thank you!! An amazing giveaway Anett!!! Lovely giveaway thanks for the chance. Un bacione, ti auguro un super week end!! Hi sweetie, first congrats!! you are having a little princess! so happy for you!! great giveaway!! Good luck to everyone. Love these products. Thank you for this giveaway! Amazing give away. Good luck everyone. Those are great products. I have never heard of this brand. Thanks for the review! These products seem really great. Oviously i have to partecipate...Great giveaway!!! Fingers crossed for me!!! amo i prodotti naturali...ottimo giveaway! What an amazing giveaway Anet! Bellissimo give! In bocca al lupo!!! Looks so interesting! Thanks for sharing and good luck for eveybody! Questi prodotti sembrano davvero interessanti!! !Li proverei volentieri!! So nice giveaway! good luck,dear! Great giveaway, I love the products. I've entered under my username Tabby72, which is how I logged in. Hopefully that is ok.
Splendid giveaway, I love natural products! Non conosco questi prodotti, sembrano ottimi! I'm intrigued by the honey lemon lip balm. Seems great for the cooler weather. Trying to get my face looking good since I don't have the products, I wish everyone good luck! Very excited about this, thank you for the great chance! Sounds like a great product, thanks for the chance with this giveaway! These products look great! Instead of posting my email, could you tweet me? @angelftw2 Thanks! These products look amazing! Thanks so much for the opportunity to win! Hey. I don't feel comfortable just posting my email address here, but you should be able to get it from my profile. I'd love to try such lovely products! 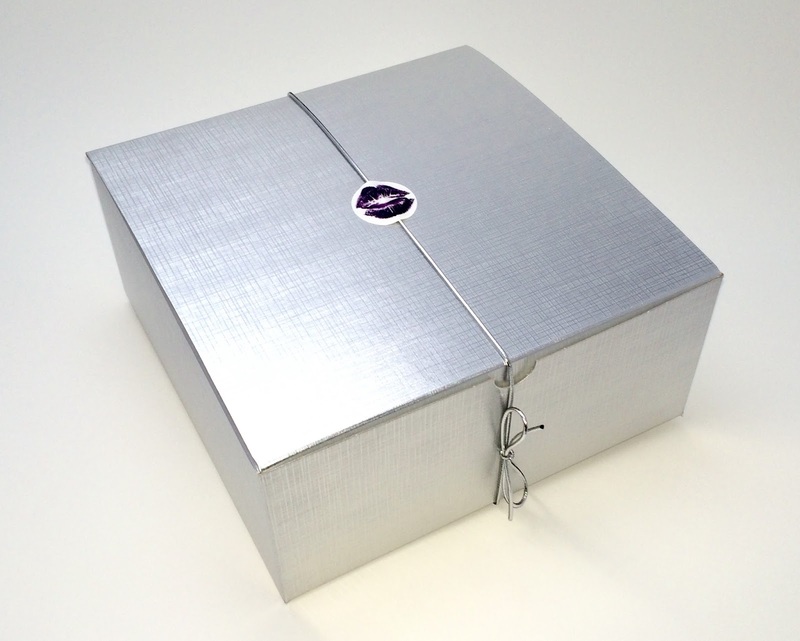 Very nice giveaway for nice products! What a lovely range if products! Thank you for the chance to be in the running! Looks wonderful! Organic skincare is the only way to go! Thank you! I would really like to try these products. Thanks for the giveaway. I have read about this Moroccan oil.. it has been used for CENTURIES as a beauty oil in the middle east. And it is good for the growers of it, to have this market for it. I think nature is always best for us, I would love to test this out. My email address is casaflamingos@hotmail.com. I've been looking for honey lip balm. Thanks. Thanks for your giveaway. This prize is amazing. I'd like to be a winner. :-) Done! Natural and organic products is the only way to go. Thanks for introducing me to this line! Great giveawat! Thanks for the chance to win! Thank you for this giveaway, it would be so nice to try these products!